Getting Blog Content from SigNet - Advaia, Inc.
Now you can get content rich copy from Signature's Travel Magazine Online to place in your BLOG! It’s all posted by the magazines. Scroll down until you see The Travel Magazine, see screen shot below. For example, the March 02/26/2016 2nd Edition Theme: Family Travel. There is a complete listed for everything included in that article. 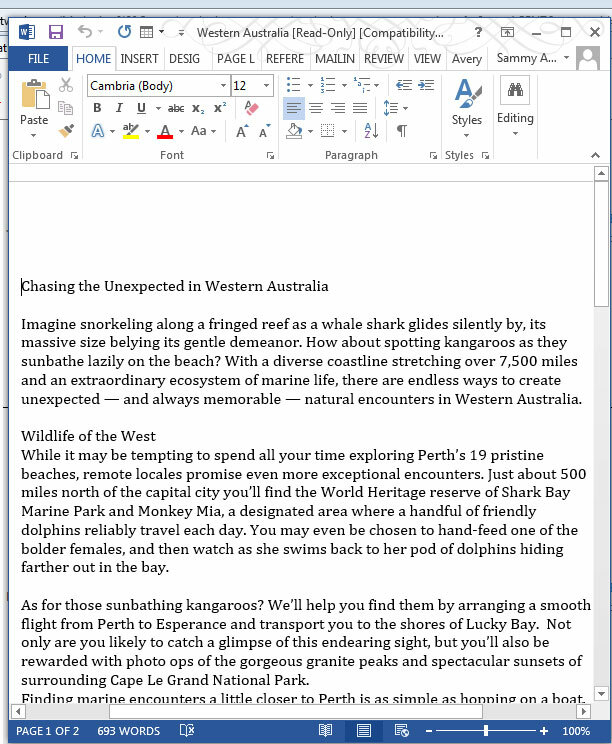 By clicking on items in the list you will find those that are WORD documents, like the article "Chasing the Unexpected in Western Australia" article. You can then edit the article within Word prior to posting it to your Blog. IMPORTANT: You are prohibited from using any of the images that are licensed to Signature for your posts! Please make sure that when you add an image to your post that the image is licensed to you.